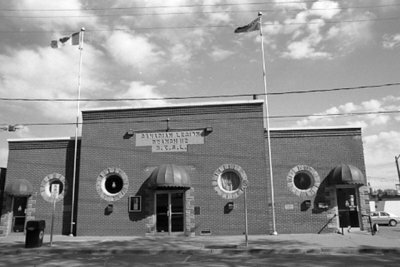 A black and white photograph of the Royal Canadian Legion Hall in Whitby, Ontario. Royal Canadian Legion, Branch 112, Whitby, October 2005, Carl Ferencz. Whitby Archives A2013_016_003B.